Greetings. I hope this finds you all well. The main topic of this newsletter is the philosophical approach of naturopathic medicine. My goal in writing this is that it will help you to better understand what I do, and how it may be different from other forms of medicine. I have also included some clinic announcements, and some great blog links for healthy recipes. Just a few days ago, I was describing my approach to diagnosis and treatment with a new patient. Mid-way through my description she said, “that makes so much sense”! Looking back on it, this was my exact impression after my first visit to a naturopathic physician many years ago. It was this aspect, combined with the wonderful results I experienced, that motivated me to become a naturopathic physician. 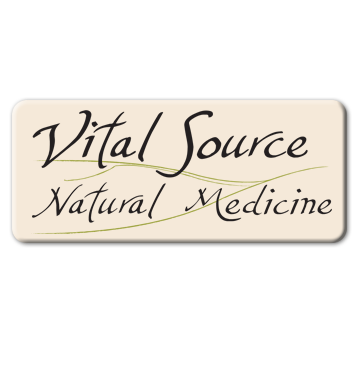 What is the aspect that “makes so much sense” about naturopathy? In my opinion, it boils down to the philosophy that guides the naturopathic approach. This is what sets naturopathic medicine apart. Most trained physicians can easily learn how to use a nutrient or an herb to make a symptom feel better. This however is not the goal of naturopathic treatment. Our goal is to help our patients achieve true healing and to reach a high level of wellness; this is very different. The primary goal for the naturopathic physician is to identify and treat the “root cause of illness”. Our goal is always to ask “why”? Inevitably patients come to us because they have a symptom. Let’s use the example of eczema, a common skin rash. One option to address this symptom is to put a cortisone cream on the rash, which in many cases will take care of the rash. This seems like a good solution until one considers that in many cases the rash will come back, either because the patient stops using the cream, or the cream is no longer strong enough to suppress the rash. If the cream actually initiated true healing, the rash would not recur, so what’s wrong here? The issue is that the cream merely suppresses a symptom, and does not address its cause. In a case like this, a naturopath will make every effort to figure out why this rash started in the first place. We consider how our patient’s various organ systems are functioning, and how the many aspects of the patient’s environment (internal and external) are impacting their health. This is how we discover what’s truly causing the skin rash. Perhaps it’s actually a digestive issue or a liver issue for example. We then treat from this place to stimulate healing and to normalize proper physiologic function in the body. This process often takes a little longer, but has a much better chance of creating lasting healing in the long run. An important point about symptoms (as alluded to above), is that they are rarely actually the true “problem”. A symptom is the end point of a process that often starts in the body long before the symptom shows up. Our bodies are incredibly efficient at maintaining proper physiology. If the body senses that something is wrong, it will adapt to maintain proper function and survive. This is called “adaptive physiology”. This subtle shifting can go on for quite some time before a symptom occurs. Viewed from this perspective, it makes sense that re-balancing these subtle physiologic shifts (much like peeling the layers off an onion) to get back to a point of true balance may take some time. Often times, even after a symptom goes away or a lab value is normalized, there is still more healing work to be done in order to prevent that symptom or lab value from creeping back. This is an important point that is often misunderstood. We need to target those underlying layers, and eventually the core of the onion, to prevent recurrence or deeper pathology. The next obvious question is “how do we attempt to heal the body”? By far the most important point is that we figure out the cause; that is step one. Without that, we are either merely treating the symptom, or (hopefully not) treating the wrong thing. The next step is to support the body to heal itself, which the body can do (it is designed to do this)! We do this by removing barriers to healing, nourishing the body, and sending subtle messages to the body to stimulate healing. We work with the body, not against it; by supporting a process, not trying to stop one. Obstacles or barriers to healing may include internal toxicity or stagnation due to inefficient elimination, external stressors such as poor sleep patterns, dietary factors, work or home stress, etc. Working on removing these “obstacles” helps establish a “clean slate” to lay the groundwork for healing. Nourishment in the form of healthy diet, self-care routine, and sometimes nutritional supplements, helps “build the body up” to create the energy required for healing and to stimulates healthy metabolism and organ physiology. Natural remedies (such as homeopathy, herbal medicine, energy work, and flower essences) are used to send subtle messages that stimulate the body to correct patterns of imbalance and restore proper functioning. These remedies may be changed over time as we work through layers of imbalance while moving toward our goal of addressing the root cause. Over time, this process “unpeels the onion”. This is a partnership between the patient and physician. While the patient works hard at creating a lifestyle that is nourishing and healthy for them, the physician guides the body to heal. The end result that all naturopaths hope for is not only the absence of symptoms, but the prevention of future symptoms or disease, and the eventual attainment of optimal health where the patient feels better than they had even before they got “sick”. This may sound like just your cup of tea, or to some it may sound overwhelming. As a physician I understand this and always strive to meet my patients where they are at and help them figure out their health goals. We can then work toward those goals at whatever pace and to whatever degree they are ready. There’s always some benefit to be had for any effort made. Obviously the more one puts into it, the more they are going to get out of it, but not everyone has the same endpoint in mind. One final important point to mention here is the concept of “suppression”. When a symptom is suppressed with a drug or other treatment that does not address its underlying imbalance, that imbalance does not simply go away. The body will continue to attempt to adapt, and the imbalance will find another way to express itself. Over time this can result in deeper pathology (more serious illness). A common example of this is childhood eczema progressing first to allergies, and then asthma. This is yet another reason to address the cause, not the end result (the symptom). There are times when it is important to treat symptoms in the beginning (if they are causing a high degree of discomfort or risk further harm to the body as in the case of pain and bleeding respectively) . Whenever possible however, we do this temporarily and work toward addressing the cause at the same time. We also use the least invasive, least suppressive medicine indicated in each case. Hopefully this has helped to create a better understanding of what I do. I aim to discover the root cause of illness, remove barriers to cure, help my patients to create a healthy nourished state in their body, and support the body’s ability to heal with natural remedies. I love my job as a naturopathic physician. It is fun for me to solve the puzzles that walk through my door each day, to learn about each individual patient and all the various aspects that impact their health. It is even more fun to start unwinding that puzzle and watch the body heal, step by step. It gives me great satisfaction to picture the future for a patient who may have been heading toward or had already developed chronic disease, eventually free of symptoms and leading a healthy life with great energy and a high sense of wellness. Be kind. Tell the truth. Eat good food. A fantastic blog about nourishment of all kinds by Louise Rose, ND. The Whole Life Nutrition Kitchen. An extensive resource for whole foods recipes, local to Bellingham. I will be giving a talk on daily detox strategies at the Downtown Community Food Co-op in Bellingham on March 12th from 6:30-8 pm. I will present information on how our bodies naturally eliminate toxins and metabolic by-products, why these processes are vital to our health, and specific self-care therapies to help optimize them. The class is $5 for members and $6 for non-members. Advanced registration is encouraged. Visit the Co-op website for more information or call or email me with specific questions. I will be on vacation from March 4th through March 11th. Bellingham Natural Family Medicine will be covering for me. They can be reached at 738-7654. I also accept testimonials in writing. I place these on the testimonials page of this website or written marketing materials. If you’d rather do this, you may email me or send me your testimonial through the mail. Thanks in advance!